The 19-year-old Muslim model is set to take over the fashion world. Halima Aden is taking the fashion world by storm. 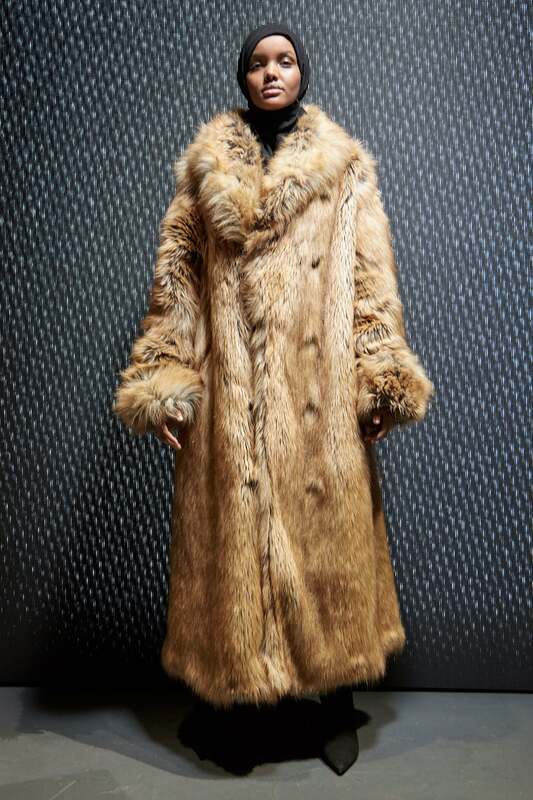 After signing with IMG less than a week ago, the Muslim model made her New York Fashion Week debut at Yeezy Season 5 wearing her hijab and a floor-length tan fur coat from the collection. It was a statement that not only turned heads, but got the industry buzzing about the stunning newbie who stole the show on the catwalk. Take a peek at the five things to know about Halima Aden. Gigi Hadid, who is also signed to IMG was quick to welcome her to the family. Not long after Aden’s CR Fashion Book snap was released, Hadid shared the photo on her Instagram. “HALIMA #CR10Paris,” she captioned it. 4. She already has over 34,000 Instagram followers … and counting: Just one look at her Instagram feed will show you why. Aside from the stunning selfies she shares on the ‘gram, Aden also posts inspirational mantras…and she has a witty sense of humor. 5. She’s a freshman at St. Cloud University: Back in December, CNN reported that Aden said her experience living in a refugee camp inspired her to become a UN ambassador one day, so she can give back to children who faced the same adversity that she did.